Hi dear friends. 1 month ago we made this video to celebrate 3 years of AMMO life. It is the history of our young company, and I hope you like it. Also, I want to give you 1 million thanks from my side and from Elizabeth for all your incredible support, good words, advices and help. We are shock with all these messages and we will try to reply as soon as we can, but just to let you know that you guys helped us a lot and we will never forget your reaction reagrding Eli's health issue. Thank you from the bottom of our hearts. Together we can be the best AMMO against cáncer! 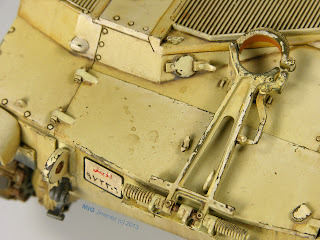 Recently AMMO by Mig Jimenez brand has released a brand new system of using and applying oil paints. The system they have devised looks a little like an eyelash brush applicator and vessel with oil paints inside. This system is said to improve the application of the oil paint and keep excess oil inside the container and it is called the "Oilbrusher." 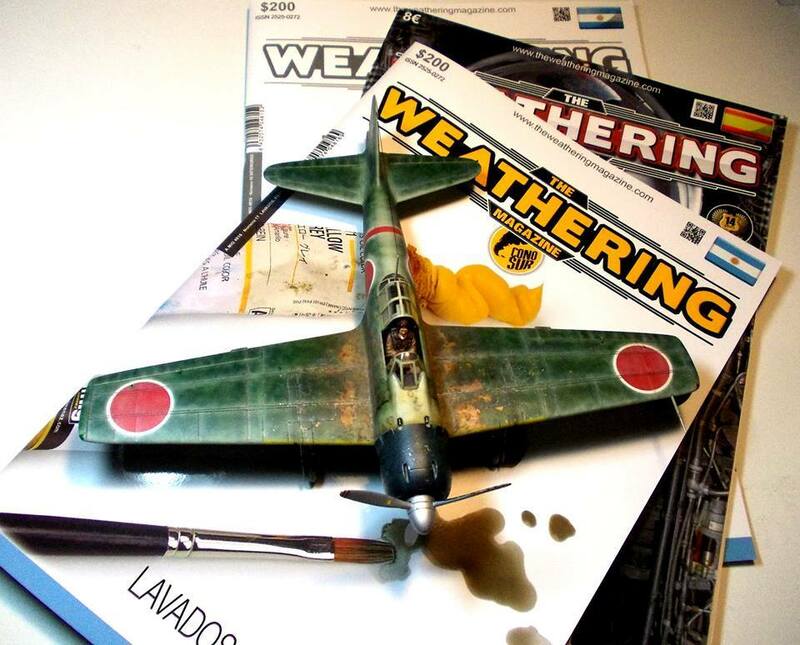 This latest issue of "The Weathering Magazine" is focused on the application of oil paints, as well as washes and filters.For those of you unfamilliar with this magazine, it is designed as a showcase of weathering and finishing techniques. The models are kind of secondary to some of the amazing model-in that is seen in thes pages and gee some of these are just top class. Just as good models as any other magazine out there, well shot, and fo rthe most part well written. there are some spelling errors here, but no less that what you might read in one of my articles, and TMN is not translated into eight languages as is this magazine!The price of this magazine is 8 Euros. For that, there are sixty-four pages in this softcover magazine on very nice, thick, glossy paper. There are, however, more six advertisements in this magazine which is not excessive, and they are single pages places between articles so the flow is not interrupted. There are ten short (a little too short some of them) sections in this book. The owner of the publishing hose, Mr Mig Jimminez is first up, he is featured a lot in this issue which is great from a modeller's perspective. His work is the reason many people buy into this brand, the image and it's products. The intro focusses on his work with washes and filters from many years ago and how he sees their use changing in that time to the present. Also an introduction on oils and his new Oilbrusher series is discussed.In a focus on filters, we see several pages of neat practical walkthrough of the use, application and shades of filters that deepen, darken , lighten and enhance the look of your model. Which colours suit a particular scheme of vehicles is helpful, for example which colours suit desert sand, panzer grey, snow and other camo schemes is a great place for many people who are learning or those who are already using filters to be assured in their own technique.We next see a twelve page learning session on using washes and oils, again from Mig. The little AMX-13/105 is seen in every step of undercoat, painting the darker shades, then lighter, then chipping and wearing down. 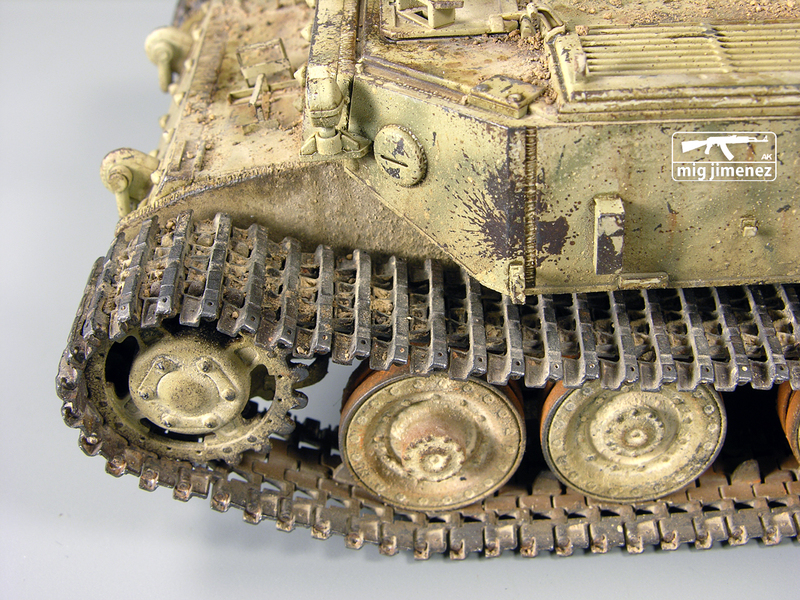 We then see the uses of panel washes to highlight and age sections of the model before Mig uses oils, and specifically the new oilbrusher - to bring shadow, dirt and grime and heavy use, as well as light and highlights to the model. 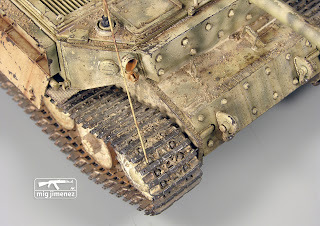 Along with the way the modeller uses the oil dot technique to render thier vehicles, this section is a wonderful essay in elearning these techiniques here, in the largest part of the magazine, I do wish all of the articles spent so much space and time on thier subject as this is a great walk through in SBS (step by step) fashion. We next see a wonderful Hobbyboss AAvp-7a1 painted and weathered by Maxi Fernándes. His article is called "Outside the Loft," and it shows this amphibious vehicle from the camo paint onwards. Again, is is a SBS build showing how to run this pristine vehicle into something of a well travelled sea-worn and dirty old AFV that anyone would be very proud of. Next, the boss is back with his tutorial of Washes, Filters and Streaked grime effects, using a WWII era japanese fighter as the subject. 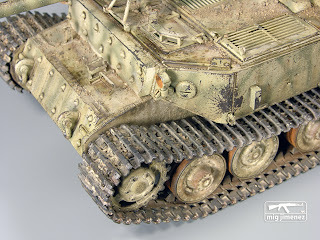 These are very popular with modellers who like to show somthing very worn in extreme. Streaking grime, panel washes and varied panels and prcise washes break up the monotone appearance of these monocrhome coloured fighters very nicely. The end product is small is scale but the detail is very nice. AMMO staffer Sergiusz Pęczek is next with the first of two of his articles in this issue, this one featuring a German Sd.Kfz.251 half-track and how he uses oil highlights & combined grime effects to make this otherwise brightly coloured vehicle look like it has been worn and beaten by constant and stressful use. Only two pages, but an interesting article nonetheless.Next up, we see the ever popular Millenium Falcon in small scale from Konrad Dzik. He only has three pages but shows off to good effect how to wash and grime up his subject in a series of SBS shots and descriptions. 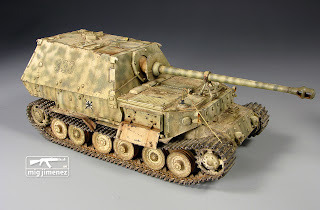 It's good to see a space vehicle in amongst this lot of mostly military vehicles and how to treat such a different subject in a familiar way.The Jagdpanzer 38t (hetzer) and 8-RAD in small scale are next from Pat Johnston. 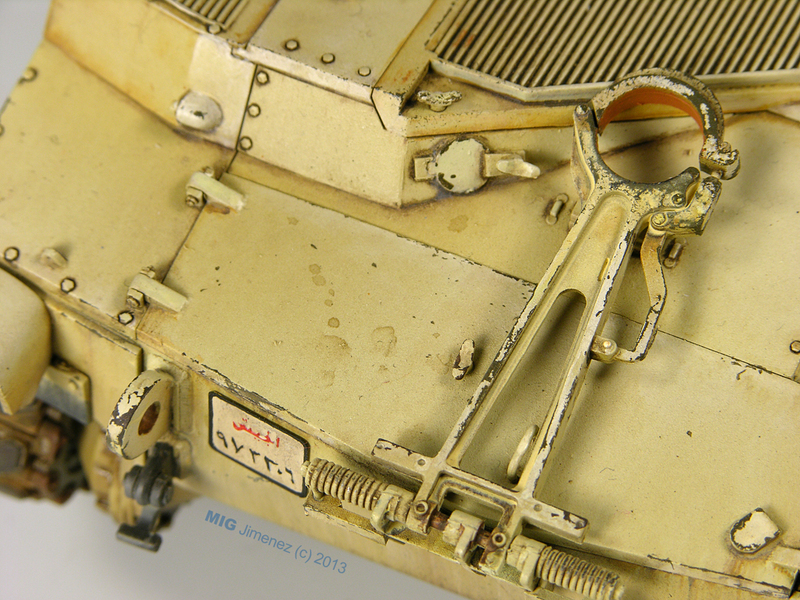 To give credit where it is due I noticed that Pat uses Windsor & Newton Oils and Humbrol enamels on his model. Pat shows us over four pages how to use these oils to render shapes and light onto these otherwise dark looking subjects. He makes them come alive with his obvious (old school) talent.We get on board the rails next with Graziano Ghetti. 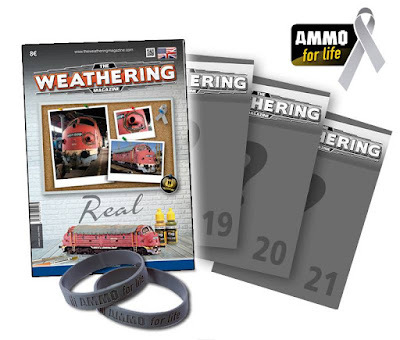 He uses AMMO products to transform a working railroad model into something a lot more then envisaged by the makers. This little model (- or is it die-cast i am not sure?) is transformed into something we might see on the side of a railway track, either in disrepair or heavy use. He shows us over five pages of SBS and reference of the real thing - of which this model really looks close to - in his effective article.Acrylics on wash duty is last, with the second story from Sergiusz Pęczek , this time on modulation using thinned acrykics and transparitor. A three-page article that is a good learning tool, although like a lot of others in the later parts of this issue, it could do with more exposure in pages and space.That is it for this issue - I did like it a lot, and it helped my understanding of oils, washes and filters. There is more I would like to see, however.I say this with all of the magazines that are published by paint making companies. It is that they need to broaden their materials base that they use in these magazines to include other brands. I suppose you know what you are buying when you walk in the door with these. 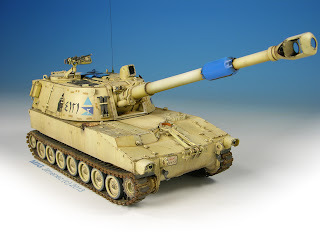 They would broaden their audience and the inclusion of model construction in at least a brief few steps would not go out of place also.However, this is not the reason why this magazine was conceived - and I understand this. If you look at this as a "How-To" book on using Mig's AMMO brand products, then there really isn't anything better than being walked through the processes than by the man himself, featured prominently in the pages of this mag.The tutorials are very good and I learned a bit from this issue, and that is why I would buy this magazine - job done then hey? In this issue were some beautiful models that were well shot, and stories sharp but to the point. Issue #15 does what it says on the tin, it informs you of the ways to wash, use filters and to use oils on your models and it does it in a very pretty, but controlled fashion. PREMIO AL MEJOR #WEATHERING EN AVIONES. Eli is 29 years old. She is my wife. 2 days ago, Doctors detected a malignant tumor in her brain. It is too big to be removed completly and Doctors have no chance. I decided to stay away of my job, of Facebook and modelling. I want to spend my actual life next to her during her last days in this world. No sure what will happen, but she is ready for the worse. She is very strong. Always smaling, always happy and full of life, but now we are waiting for her last batlle. I want to be with her. Friends: my apologies if I don't reply you messages.Sorry if I am off line, but my duty is stay with her. 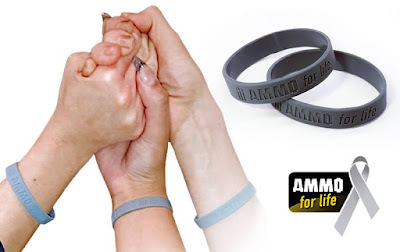 Eli was working very hard for AMMO, and AMMO will continue without her. That company was her life and she was working until the last day. She will be the soul of this modelling company forever. Thank you all. I wanted to share with you some of her best moments, with some friends and different countries. Thank you ELI to allow me stay with you during 8 years. It was not enought, but I accept it. Eli tiene 29 años. Ella es mi esposa. Hace 2 días, los médicos detectaron un tumor maligno en su cerebro. Es demasiado grande para ser eliminado completamente y los médicos no tienen ninguna posibilidad de eliminarlo completamente.. He decidido permanecer lejos de mi trabajo, de Facebook y del modelismo. Quiero pasar mi vida junto a ella durante sus últimos días en este mundo. No estoy seguro de lo que va a pasar, pero ella está preparada para lo peor. Ella es muy fuerte. Siempre sonriendo, siempre feliz y llena de vida, pero ahora estamos esperando por su última batalla. Quiero estar con ella. Amigos: mis disculpas si no respondo los mensajes. Lo siento porque estaré desconectado, pero mi deber es permanecer con ella. Eli ha trabajando muy duro para AMMO, y AMMO continuará sin ella. Esa empresa era su vida y ella trabajo hasta el último día. Ella será el alma de esta empresa de modelismo para siempre. Gracias a todos. Quería compartir con ustedes algunos de sus mejores momentos, con algunos amigos y diferentes países. Gracias ELI para permitirme estar a tu lado durante 8 años. No es suficiente, pero lo acepto. 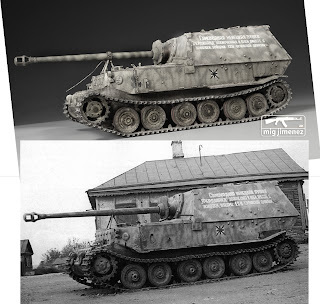 70 years of Kursk Battle. Many years ago I made an attemp to make this original Ferdinand, but due my passed experiences I lost my first Ferdinand and I was not able to finish it. 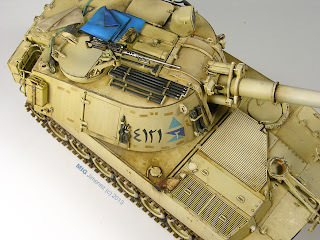 Fortunatly I was able to save the decals that a Japanese firend made for me, so, I was able to make again anew Ferdinand using the same decals. In fact, these russian text is the difficult part of this project. Jindra, my very close friend from Chezc Republic made the corrections of that text. I finished this new ferdinand just yesterday, specially for a Mexican event in next October 2013. 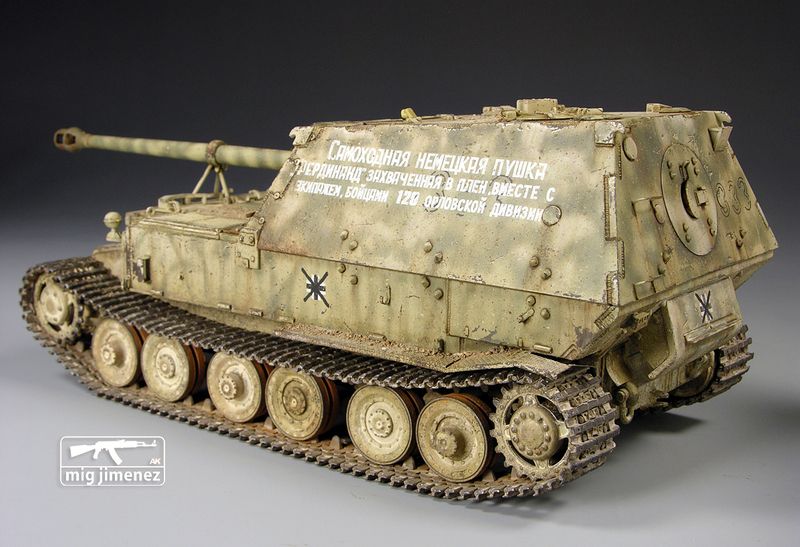 It will be published also in the Weathering Magazine in the Kursk Issue. I hope you like it. 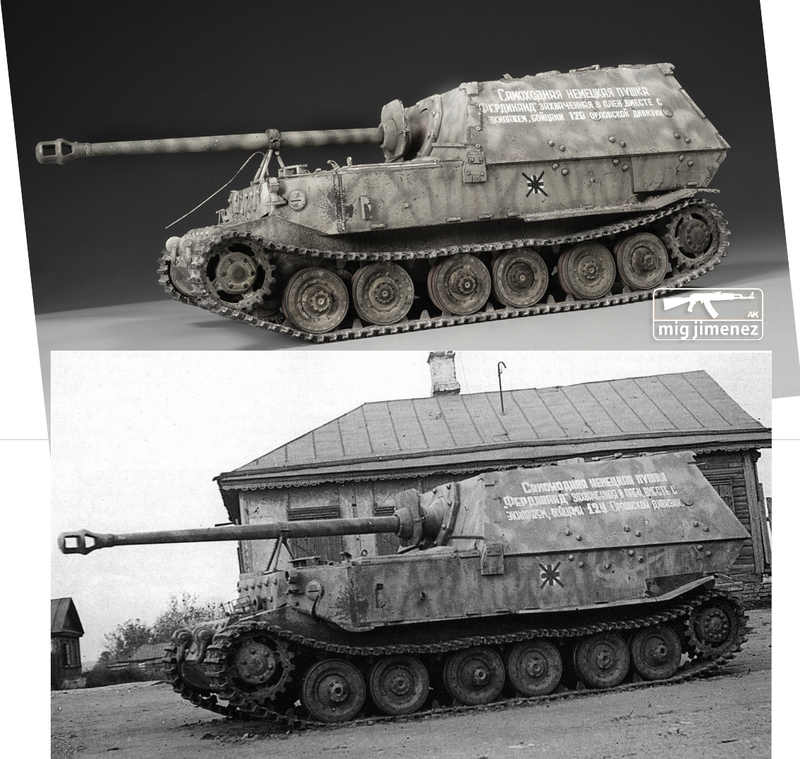 In the next comparative photo, you can see some diferences between my model and the original one. 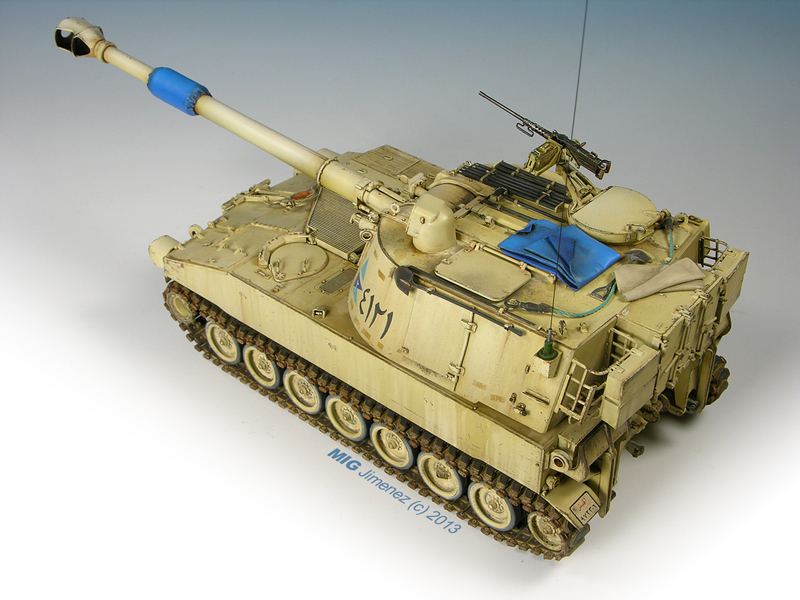 For example, I was not able to discover what is that rare light color lines in the rear hull, because in another photo of the same vehicle these lines are not visible. Also I added the Arial Antena....a bit damage. Even if the real one haven't the antena, I wanted to add this details to give to the model more volume and small details. Anyway, it could be possible. In any case, this is my personal interpretation, don't try to reproduce the rela one exactly. Finally, I must say that was a good project to me, to do something without 1 million different colors in red, grey, yellow, etc, like it is getting fashion nowdays. 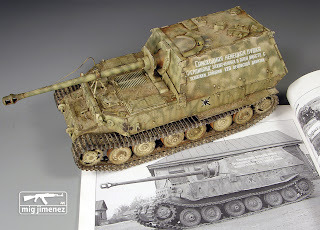 Ok, it is a resource that can be used sometimes, but we must try to avoid to use the same thing in each model, specially because most of the tanks in WWII were without these amount of coloured patches of bright colors. 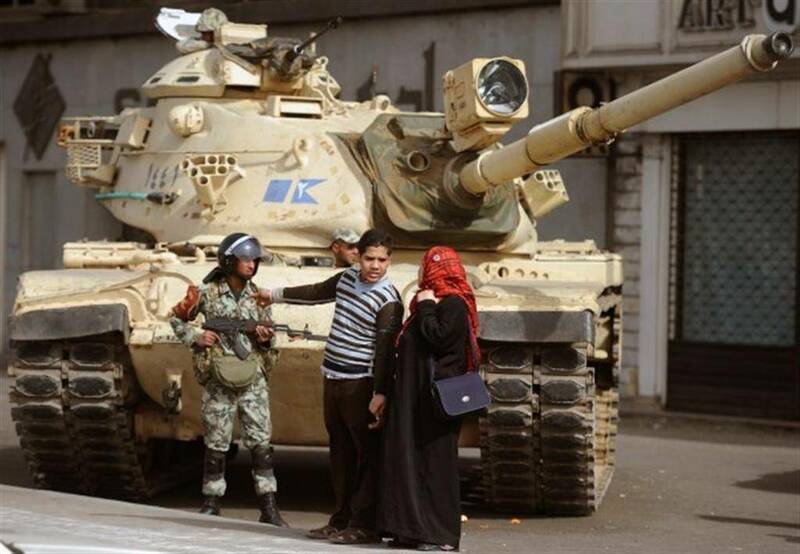 As maybe many of you know, I love the Egyptian Army. In fact is my favorite subject ever. Doens't matter Six Days War, Yom Kippur or modern ones, it is what make me happy. 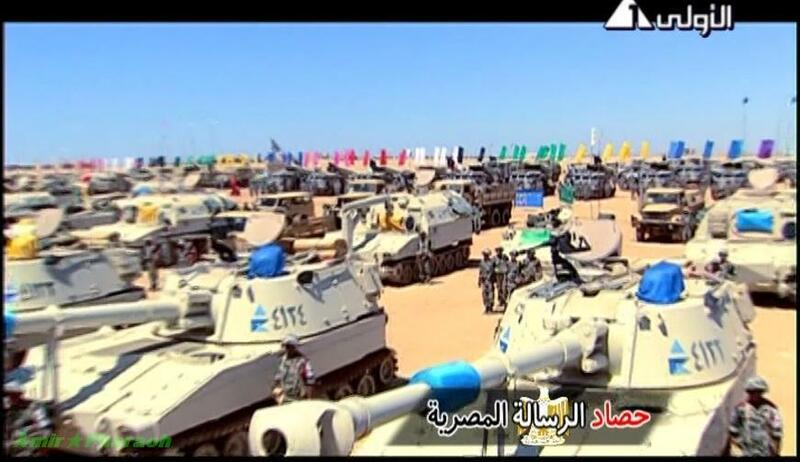 When I saw for first time the new AFV M109, first thing I thought is to make it under Egyptian army. 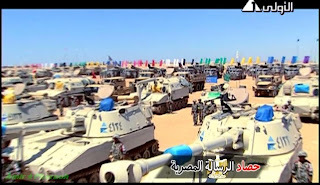 I searched many pictures of it but where I found the real inspiration was inside a Egyptian propaganda video where I found the M109 in blue platoon colors. 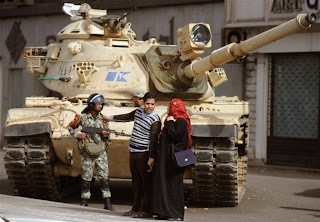 Egyptian used bright colors to identificate the units in their maniouvers, such yellow, black, white, orange, red or blue. In this case, the tactical simbols was also blue in combination with the air identificators. It was very original to my eyes, so, I decided to make this versión. There are camouflaged M109s in 3 colors, but I have only 2 bad quality pictures of them, so...the light sand versión was the "one" definitly. 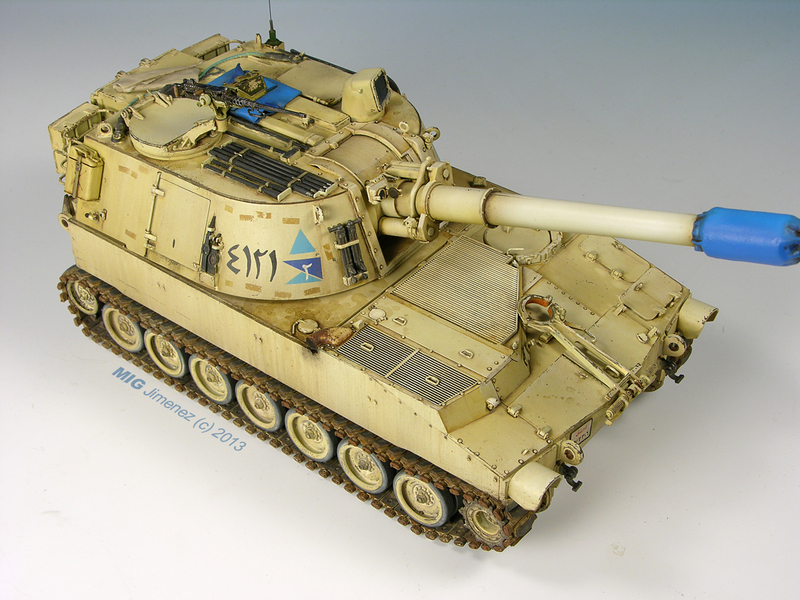 The model was build in AFV CLUB HQ in Taipéi, so, I decided to "don't touch" any part of it, just paint it. It was a pity from one side, because the clear parts was necesarly lost because were already glued, like headlights, periscopes or visor.I just remplaced the tracks for another in metal. So, we can say that this kit is totally 100% out of box. Of course I added the license plates, the most important thing in any egyptian vehicle. 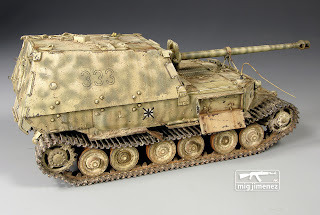 But of course I must say that the kit is absolutly perfect under my point of view, so...just put in the trash the old Italery kits, because they will look like a plastic toy near to this incredible new kit. 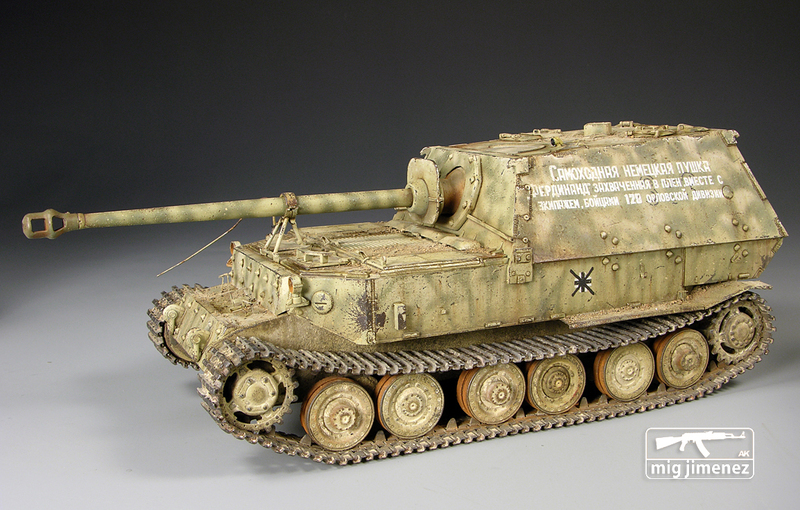 The model was enterly painted with AK Interactive acrylics, weathered with the AK enamel products, pigments and oils. 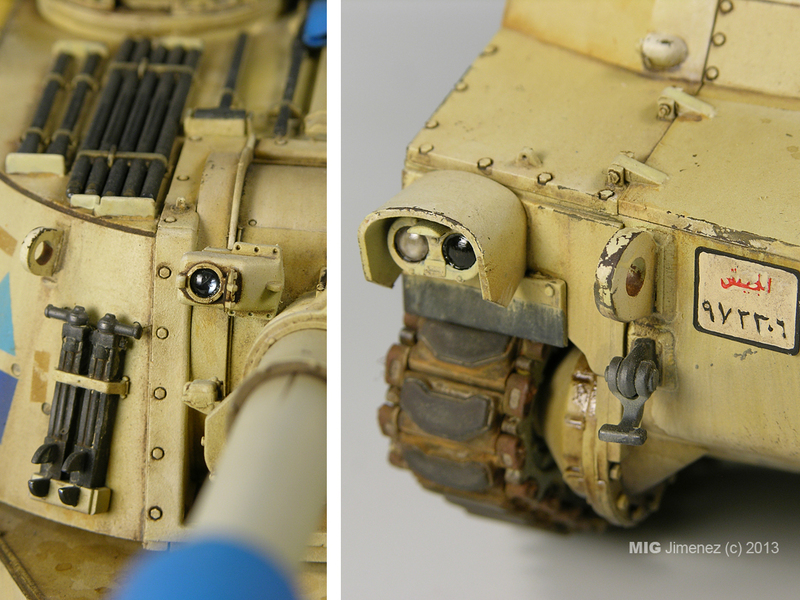 Frontal headlights was painted by hand and adding X22 from Tamiya and SMOKE. 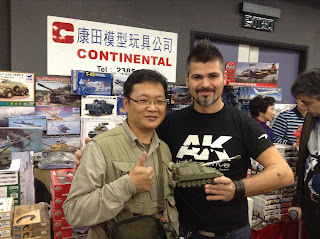 The turret visor is a lense from AK Interactive. The oil drops were painted with AK FRESH ENGINE OIL and a small brush diluting the product with White spirit. Some important aspect in this Egyptian versión is that all tools were painted in black color. Like a curiose thing, note the light blue-green town cable. It can be painted in this color or even PINK!!! Few months ago, Mr Tseung, president of AFV Club from Taiwán, offer me his pre-serie kit to be painted by my self. It was a big honour to me so now, it is dedicated to him. I hope you like it Mr Tseung. 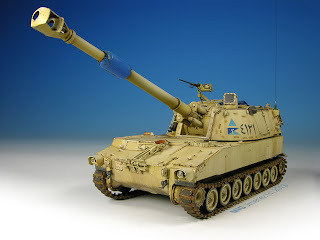 Many of the effects in my M109 was based in similar ones on M60s, M113s and many other vehicles. 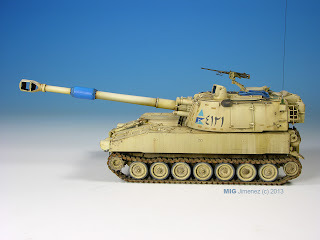 Also, I want to deciate this model to the Egyptian Army from my heart. It is my passion and I have spent hundries of hours just searching and learning from their battles and vehicles. 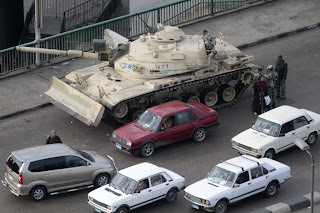 I like Egyptian Army, specially in Yom Kippur war, but specially all Middle east wars. 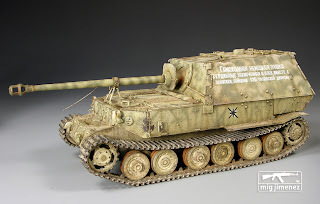 I am focus in weathering techniques, but I love dioramas, vignettes and figures.